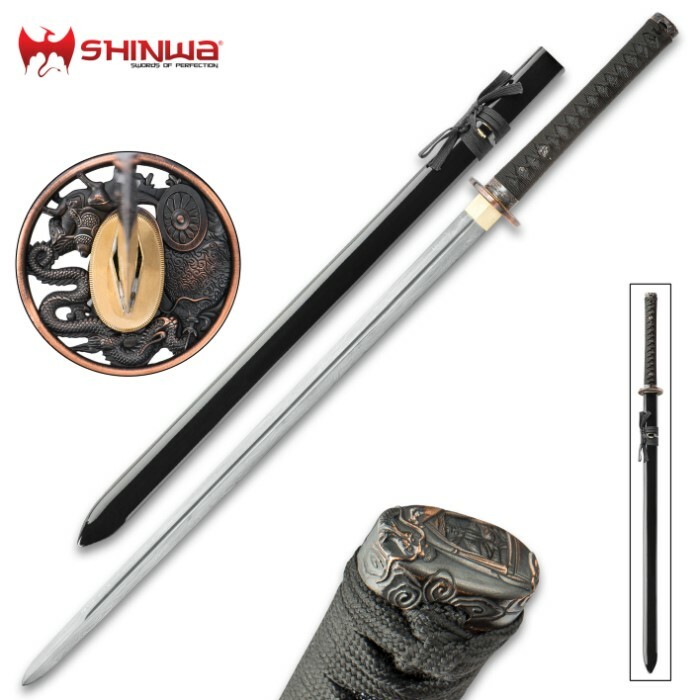 Shinwa Dragon Lord® Handmade Katana / Samurai Sword - Double Edged; Hand Forged Damascus Steel, 1,000+ Layers - Distinctive Custom Dragon Tsuba - Genuine Ray Skin - Functional, Battle Ready, Full Tang | BUDK.com - Knives & Swords At The Lowest Prices! Shinwa's Dragon Lord® Katana represents handcrafted beauty with an edge - times two. 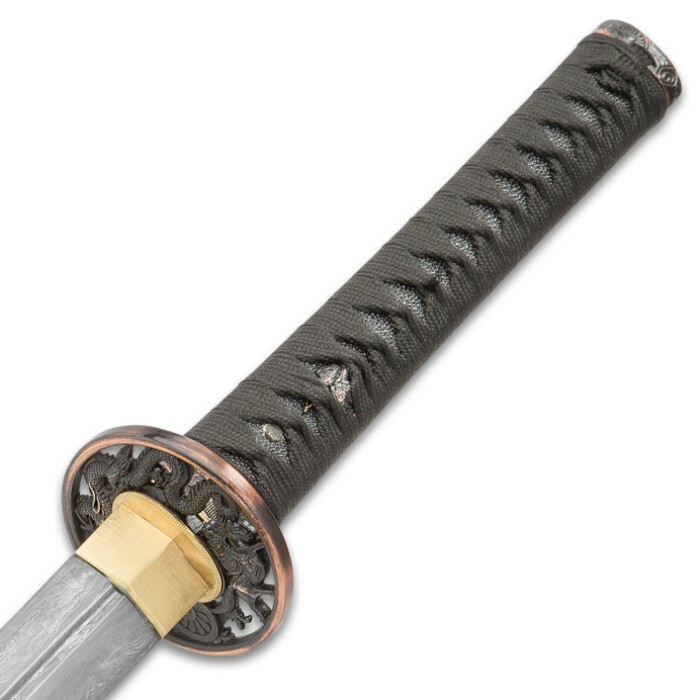 Though this Damascus steel wonder pays homage to Japan’s ancient swordcraft tradition in overall form and performance, Shinwa developed the double-edged "Dragon Lord" with today’s serious swordsman in mind. 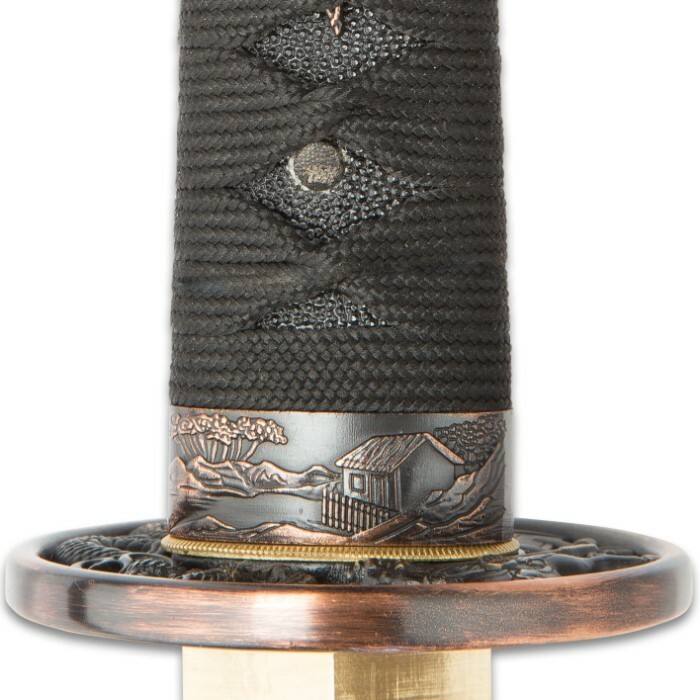 Master smiths painstakingly hand forge every savagely pointed blade, and seasoned sword artisans carefully handcraft each tsuka and saya. 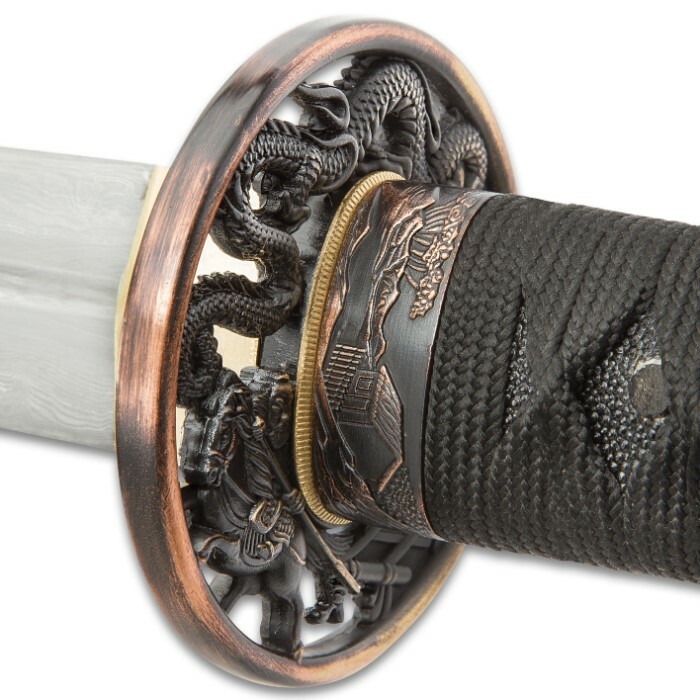 From vigorously hammering the molten blade steel to gingerly wrapping faux ray skin and cord around the tsuka, every step in the Dragon Lord's construction receives the utmost care and precise attention to detail. 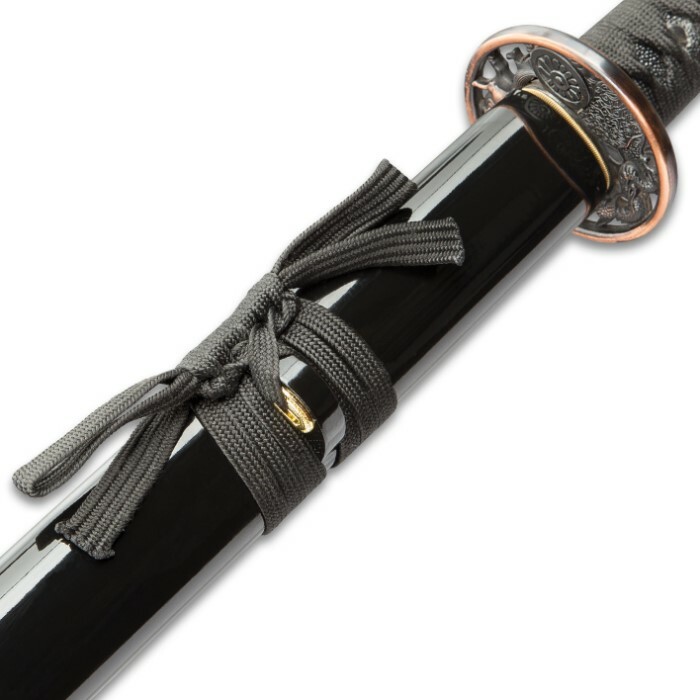 Some of the world's - and indeed history's - most revered, time-tested techniques are employed, and every material meets or exceeds stringent quality standards. 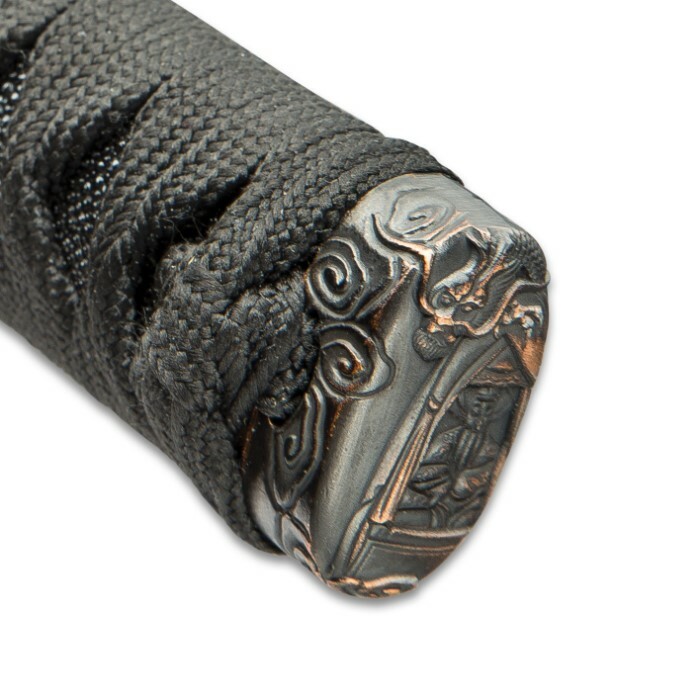 A quintessential example is the Dragon Lord's eye-catching Damascus steel tanto blade, which teems with potency and visual splendor - a spectacular wonder in its own right with its contrasting lines, waves, swirls and other mesmerizing patterns. 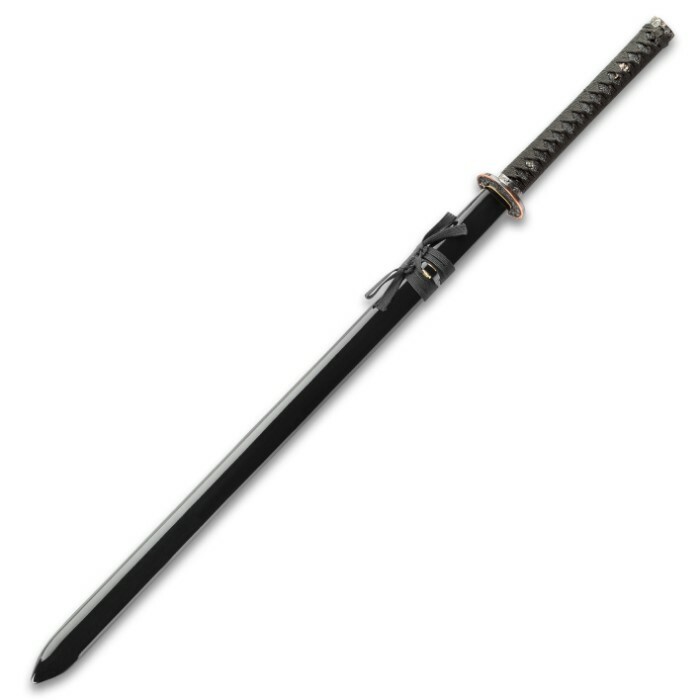 Each line is a distinct variety of steel, hammer welded and folded repeatedly to yield the thousands of layers in each Dragon Lord blade. The unique metalsmithing technique’s roots stretch back to the Middle Ages, and today it’s still painstakingly performed by seasoned hands, unsullied by soulless automation and disconnected mechanization.